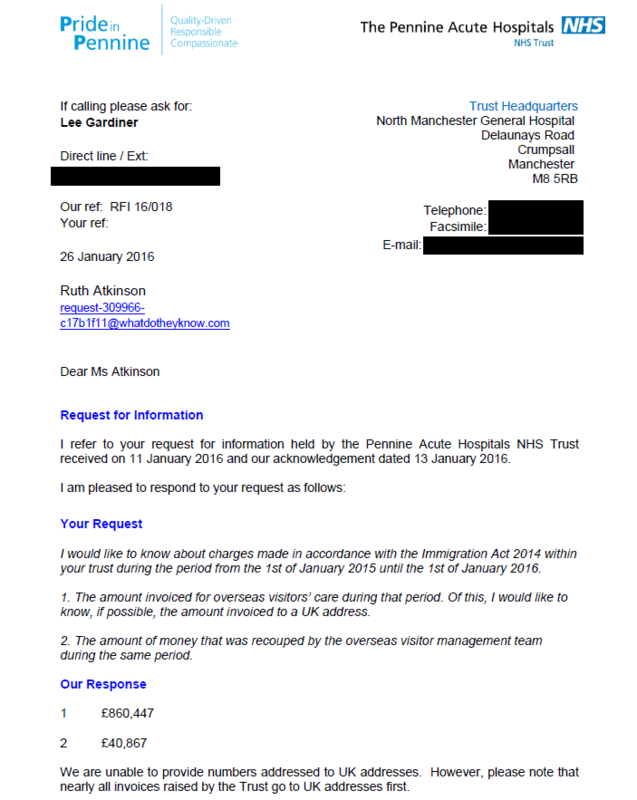 In the year to the 1st January 2016 the Pennine Acute Hospital Trust, which includes the Royal Oldham Hospital, invoiced foreign nationals for £860,447 in NHS fees for treatment but only recouped 4.7% of the money. The trust spent £1.6 million on translation costs up to March 2015 and a freedom of information request in 2013 showed they spent £250,000 a year employing religious counsellors. That is a total of £2.70 million a year that should be spent on medical treatment for British citizens within one of the poorest areas in England but which is squandered on services that do not improve health and that should be paid for by the individuals or religious bodies concerned.